A fresh coat of paint will protect your facility or home's exterior and beautify the interior, and add to your real estate value and sale ability. 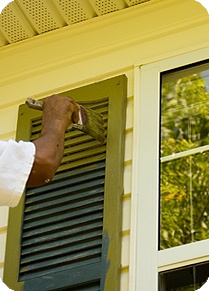 One Way meticulously cleans, removes old paint and prepares siding and wall surfaces to ensure a beautiful finish. We use the highest quality application tools, primer and paint to give your facility or home long-lasting paint coverage. You’ll find clean, straight edging, but never a speck of paint on trim or molding. One Way ensures all floors, furniture, outdoor plantings and surfaces are fully protected so the paint stays where it belongs. Whether it’s finishing a new government, commercial or residential space, or repainting a cherished family home, One Way will provide superior painting services to protect your valuable real estate investment. One Way is certified by the Federal Environmental Protection Agency (EPA) as a Lead Safe Renovator Repair Painting contractor.